Has there ever been a better drug than music? Has there ever been a better way to take it than by radio? Allow me to answer that for you with minimal gum-flapping or keyboard wordgurgitation. No. That is the basis of this -- and, to be truthful, every -- episode of the Big Show, which is a thing called 3 Chords & the Truth. Now, radio is an endangered species these days, and younger music lovers might not know what the deal is with it . . . why old farts like your Mighty Favog keep going on and on and on and on about how great radio was. Well, it's like this. No, I mean like this. 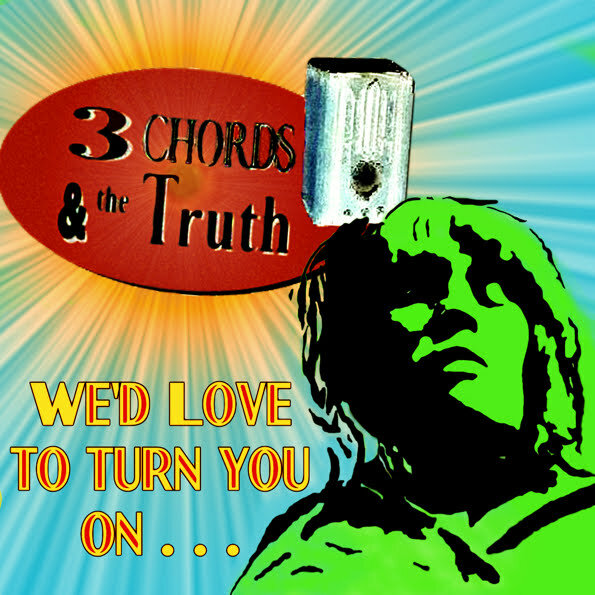 Like 3 Chords & the Truth. USED TO BE that you had radio that sounded like this all over the place. Now, not so much. Now, there are places where radio -- the medium of legend -- still exists. Places where music is that best of drugs, one that can wash over you in a tidal wave of sound that will soothe your soul and expand your mind. Radio. Wonderful, trippy, unpredictable radio. I hope the Big Show is one of those places. These days, radio isn't always on the radio. You do what you can. And you take it where you can find it.